In 1991 a company called Toy Headquarters (THQ) re-released these dolls. 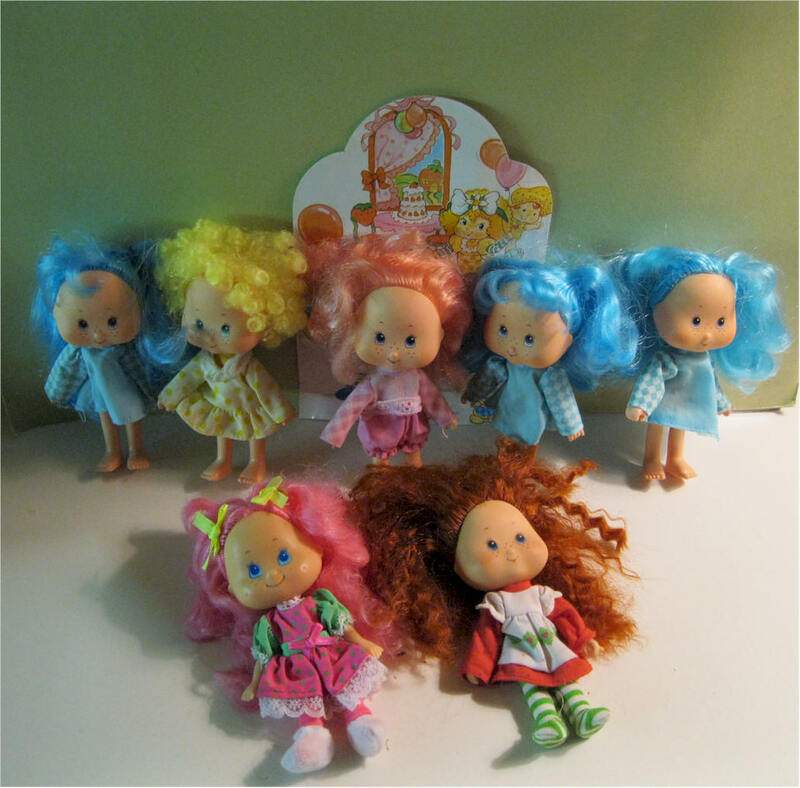 There were four versions of Strawberry Shortcake and one version each of Orange Blossom, Lime Chiffon, Raspberry Tart, Lemon Meringue and Blueberry Muffin. 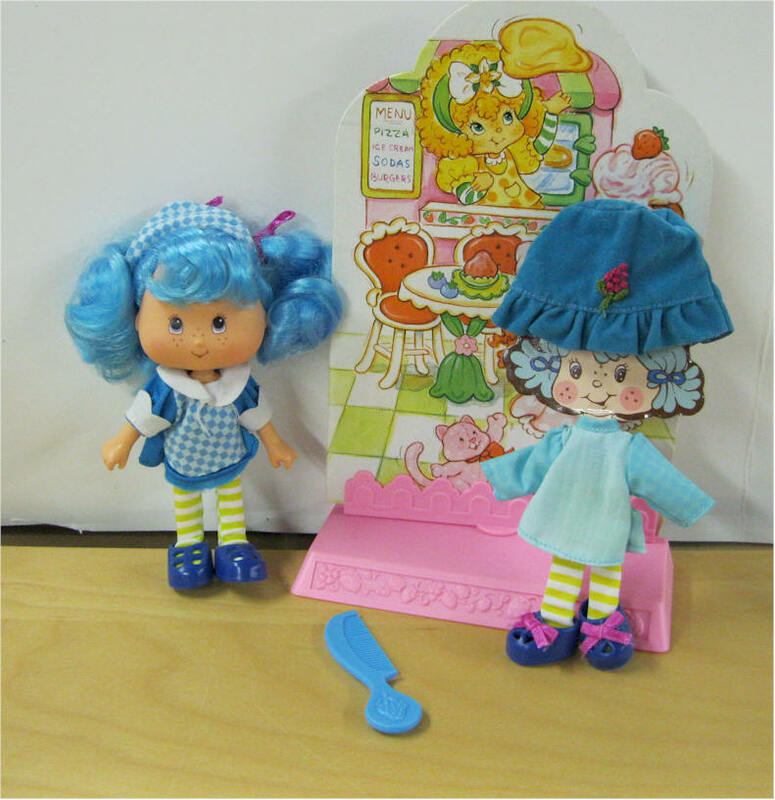 Comes with her outfit - hat, dress, tights, and shoes Includes two-sided play stage and extra outfit. 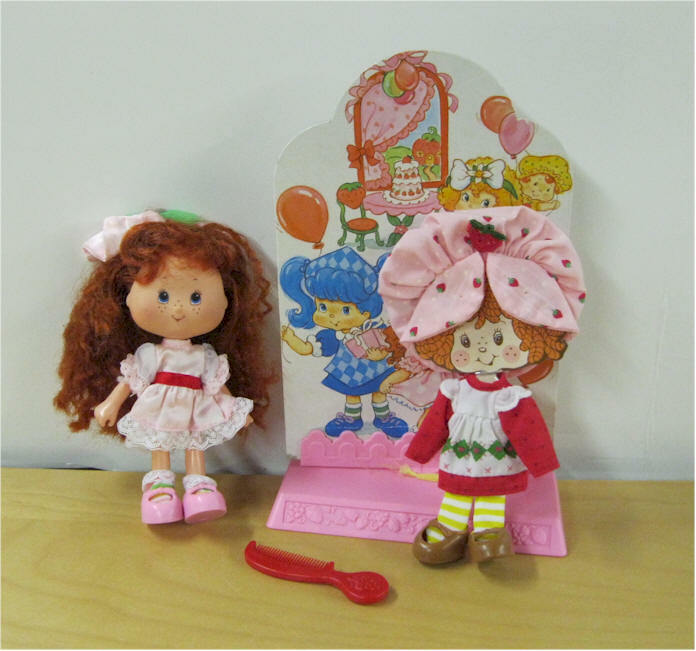 1991 Strawberry Shortcake THQ Dolls. Strawberry shortcake Berry Best Party. . Dressed in her party dress- hair ribbon, underpants, socks and shoes. 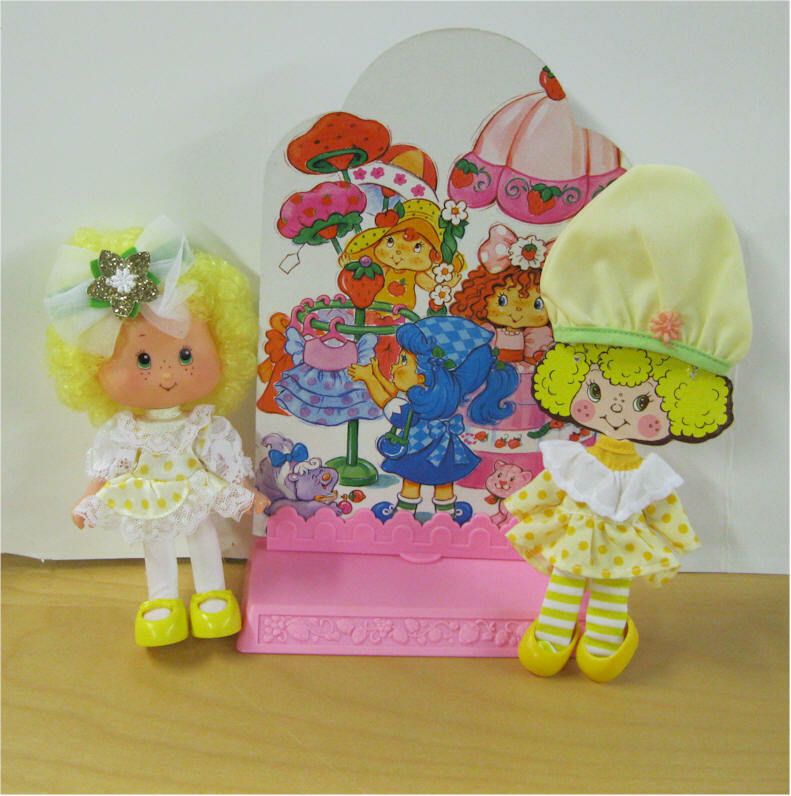 Paper doll, Includes two-sided play stage and extra outfit outfit. Dressed in - red dress and slippers . Paper Doll with nightgown and hat. 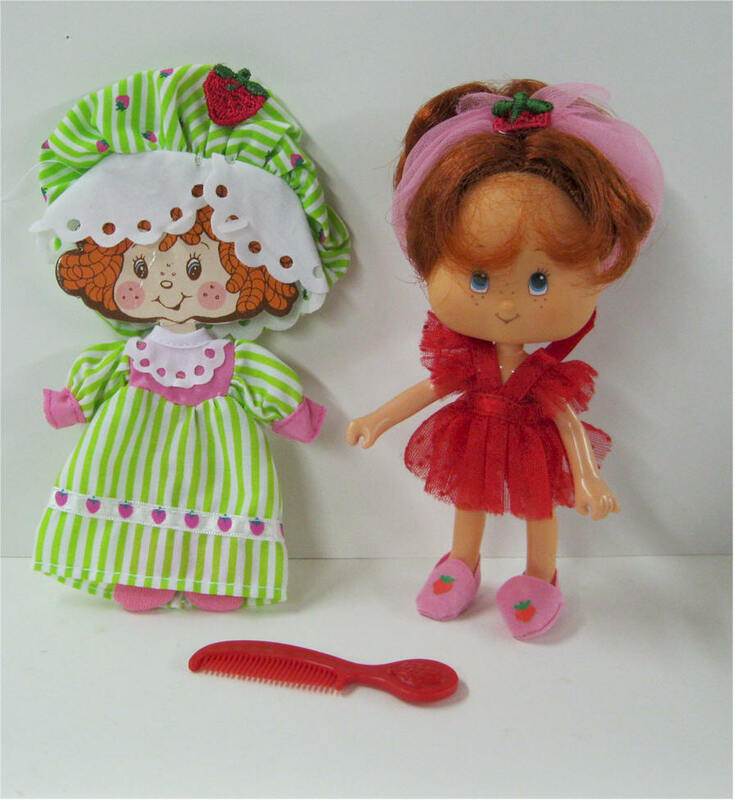 1991 Strawberry Shortcake THQ Dolls. Raspberry Tart Rock n' Berry Roll. Comes dressed in dress - hat, dress, tights and shoes. 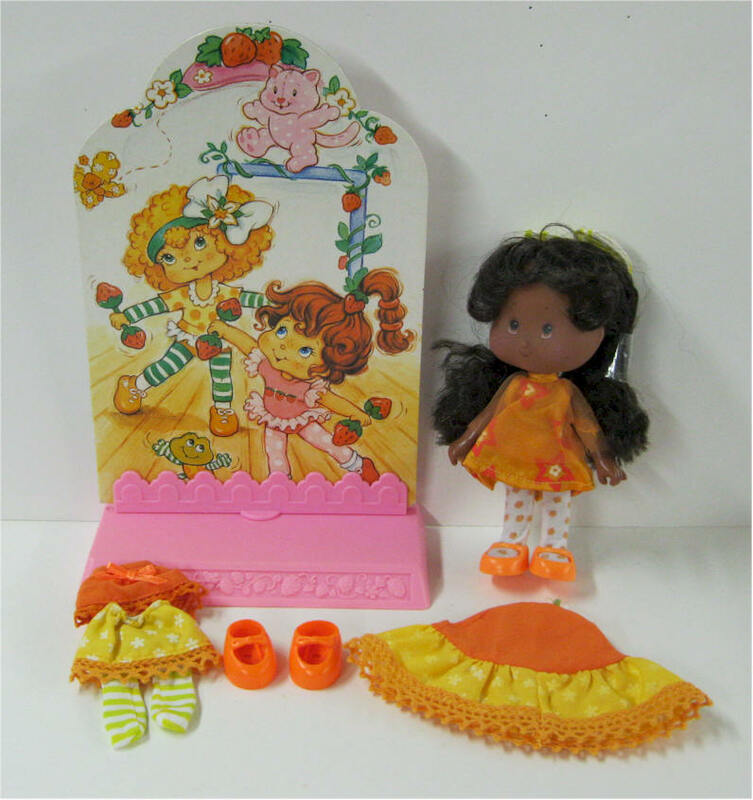 Paper doll, Includes two-sided play stage and extra outfit. 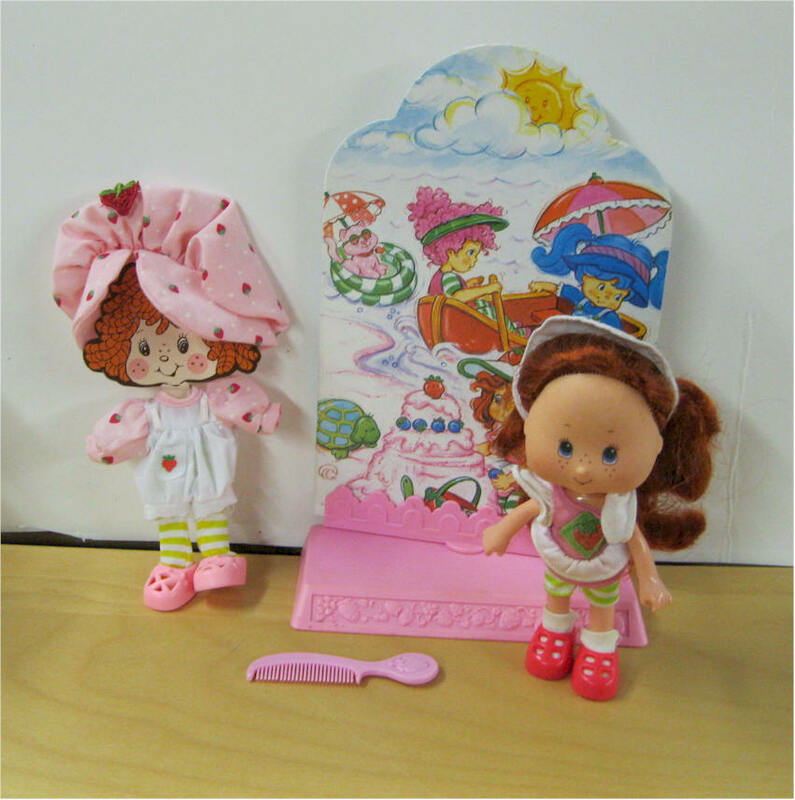 1991 Strawberry Shortcake THQ Dolls. Lime Chiffon Dance N' Berry-Cise. Comes with dressed in - hair ribbon, dress, tights, comb and shoes. 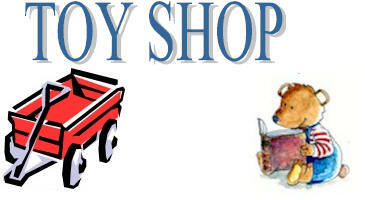 Paper doll, Includes two-sided play stage and extra outfit. Comes dressed in - dress, tights, hair ribbon and shoes. 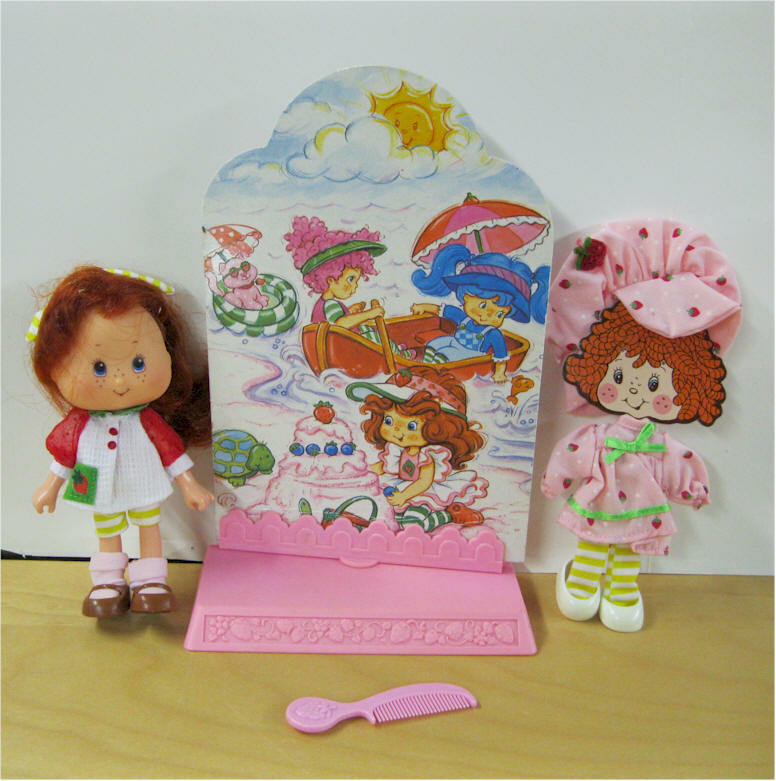 Paper doll, Includes two-sided play stage and extra outfits.